Many homeowners believe that, because a wall is of an unusual length or size, they need custom cabinetry. However, most people are unaware that custom cabinets are the costliest and most time-consuming choice, and semi-custom or stock cabinets can be used to achieve a similar look. Semi-custom cabinets are made to the customer’s specs but come in certain increments. Stock cabinetry is bought off the shelf, and customers choose from a list of styles. Although stock cabinets are usually the cheapest option, it’s crucial to assess the quality of materials used in their manufacturing before making any purchase. In most of today’s kitchens, base and wall cabinets are typically equipped with doors rather than drawers and shelving. Usually, upper cabinets are used for display purposes, while base cabinetry holds pans, pots, and other types of dishes. Pull-out drawers are a popular option, and many kitchens are entirely eliminating upper cabinets in favor of an open, clean look. Available features and accessories can improve the cabinets’ functionality though they may increase the job’s cost as well. Some families need a pull-out drawer for the trash can, while device-loving family members will appreciate built-in charging stations. Other options include spring-loaded shelving that provides quick access to commonly used appliances. 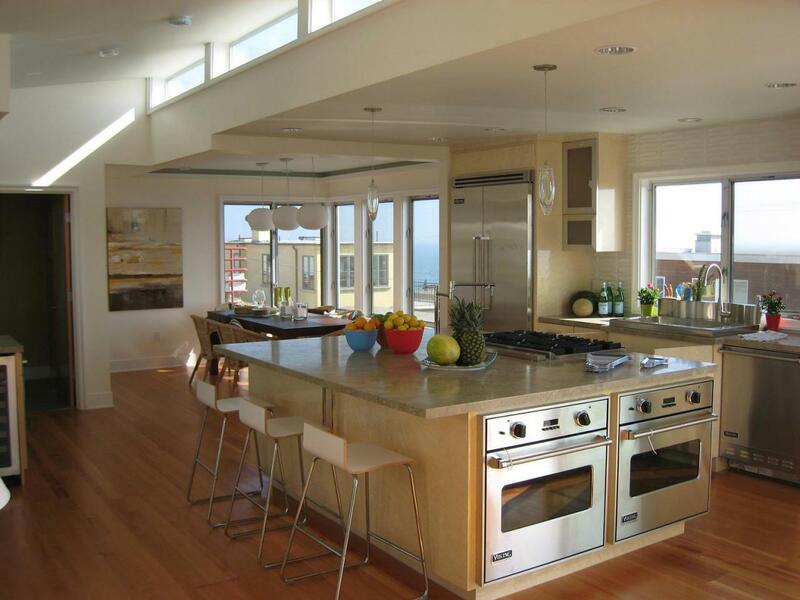 No matter a customer’s preferences, there’s a kitchen remodeling feature or option to match. Making a list of must-have features makes the selection process a bit easier. Another big decision to make during a kitchen renovation is to choose between frameless or framed cabinets. While framed cabinets are commonly found in traditionally styled kitchens, frameless cabinets are a common choice for those who want a cleaner look. With framed cabinets, the hinges are visible, while frameless cabinets have no such limitation. This decision has a substantial effect on the type of hardware, hinges, and cabinet doors a customer chooses. Whether it’s a slight upgrade or a full renovation, lighting will change the look and feel of the kitchen remodeling project. Integrated lighting is becoming very popular in kitchen cabinetry, mainly due to its versatility. It ranges from fixtures that come on as drawers are opened to basic under-cabinet LEDs that are simple to install. Does the sound of a clattering cabinet door induce dread in the household? Consider adding soft-close doors and drawers during the installation process. This feature’s availability depends on the chosen manufacturer, so if it’s important, ask the remodeling contractor which brands they suggest.For more information, visit Mimosa Kitchen and Bath. Custom molding is the easiest and most cost-effective way to give cabinetry a high-end look. Whether a customer chooses to add some edge molding to their new cabinets or put some crown molding on an existing set, it will help them achieve the results they want. Along with the molding, kitchen remodeling customers may want to add other decorative touches, such as aprons, corbels, supports, and toe kicks. The kitchen is one of the most frequently used rooms in the home, and it’s important to put considerable thought into its design. Whether a homeowner is building a kitchen from scratch or revamping an existing one, universal design is one of the biggest keys to kitchen remodeling success. Accessories and innovative finishing touches will make the room more comfortable and accessible for every member of the family.